Social media is now the go-to platform to showcase everything we do, and comedians have been quick to use it to promote their work. Whether it’s with pranks, sketches or jokes, making your audience laugh is one of the easiest ways to go viral. But can traditional stand-up comedy survive in the new comedy climate? 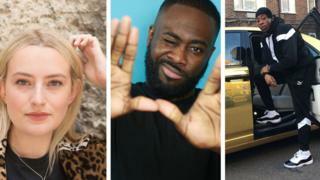 There are several pitfalls comedians can fall into the online era, as the BBC’s comedy controller Shane Allen pointed out last week. “For social media you can have three tweets will lead to a storm… there’s people who are a lot more willing to take offence easily because they’ll take material out of context,” he told BBC News. Allen added he actively advises comedians to stay off Twitter once a TV show has been commissioned, to avoid the likelihood of being caught up in any scandals. Amelia Dimoldenberg, also known as “the girl from the chicken shop”, set up a spoof dating show where she interviews grime artists and influencers in fried chicken shops across London. Through social media, she built up traction and meme accounts, such as YoungKingsTV, Warmzn and ImJustBait, helped by advertising short versions of her YouTube videos on their pages. But Amelia, who has over 160,000 subscribers on her YouTube channel, doesn’t believe that traditional live stand-up comedy is obsolete just yet. She tells BBC News: “I think that the online world of comedy has just created a different way to consume it rather than replacing traditional set-ups. Amelia uses Mo Gilligan, also known as Mo The Comedian, as an example. Gilligan co-hosts Channel 4’s The Big Narstie Show and tours regularly, but also has countless viral social media videos, and has sold out tours across the country with his a Coupla Cans comedy nights. He started out by uploading clips while still working in a clothes store in London (customers even began to recognise him). According to Amelia, digital platforms have birthed a new area for comedy to be displayed, which should be welcomed. Yomi Sontan, known online as Yoms TV, uses Instagram as his main platform to showcase his comedy. He has more than 130,000 followers and generally accumulates around 60,000 views per post. He believes the respect for traditional comedy, such as stand up in the UK, is declining. Speaking about TV comedy programmes, he said: “We see the same old shows like Mock The Week and Live at the Apollo. Comedian Kojo has travelled all around Europe and Africa with his stand-up comedy. He has also introduced London’s first black comedy club, Da Comedy Fun House, which has been graced by the likes of US comedy heavyweights Dave Chapelle and Kevin Hart. According to Kojo, social media is a great way to build up a following, but he adds that stand-up comedians should be worried about the rise of the online comedian. “Unlike music or a movie, you only laugh at the joke once and it gets lighter and lighter and lighter till it’s not funny anymore,” he explains. Kojo adds comedy audiences on social media and at live gigs are after very different things. “It’s all 90 seconds long online, whereas with live stand up there’s a bit more story telling,” he says. Aaron Brown, the owner and editor of the British Comedy Guide says social media “offers comedians a great opportunity for wide exposure”. He adds it offers fans a great opportunity to re-promote comics’ material, with organic recommendations and benefits. New and upcoming comics can use social media as a tool to find work, as well as sharing stories and boosting their morale chatting with colleagues. There are certainly risks, as Allen argued last week, that given the immediacy of the platform, comedians find themselves at increased risk of being at the centre of a scandal. But while it’s a tricky minefield for the industry, it’s one from which huge rewards can be reaped if used carefully and wisely.